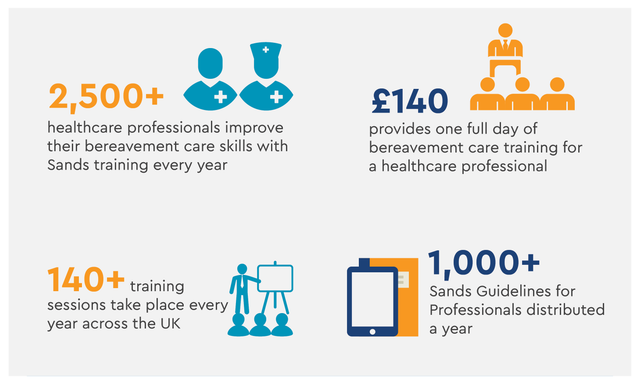 Sands is determined to make a real difference to the lives of bereaved families across the UK. But we can only continue to deliver our crucial work with your support. 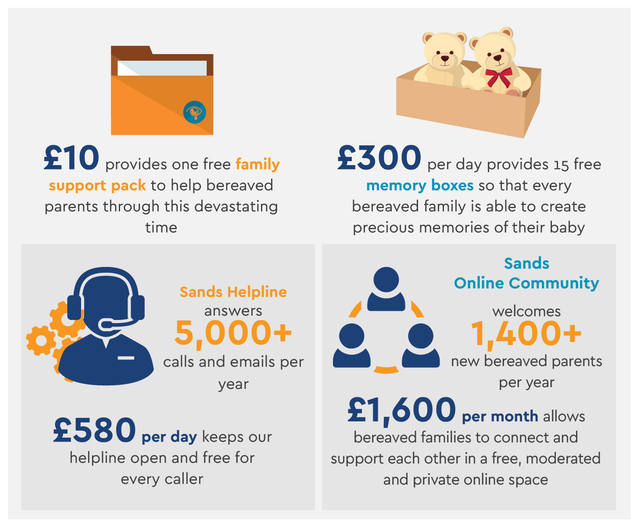 When you donate or fundraise for Sands, you are supporting our vision of a world where fewer babies die and helping to ensure that every bereaved family, wherever they live in the UK, gets the care and support they need, when they need it, for as long as they need it. Promoting research to save more babies' lives. Watch the animation and keep reading to find out more about the work we do with your support. 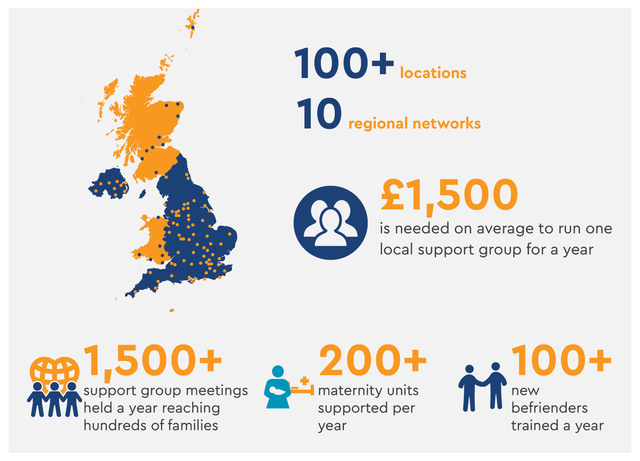 The money you raise allows us to run a countrywide network of regional support groups which offer free regular support meetings for anyone affected by the death of a baby. The money you raise enables us to offer free bereavement support to anyone affected by the death of a baby, no matter how long ago. It means we can expand our bereavement support services and ensure they are accessible to every bereaved family throughout their journey. The money you contribute helps to maintain and expand our bereavement care training programme for health professionals, ensuring that every family whose baby has died receives equally excellent bereavement care. We work towards ensuring that every parent whose baby has died has access to a bereavement suite, wherever they live in the UK. 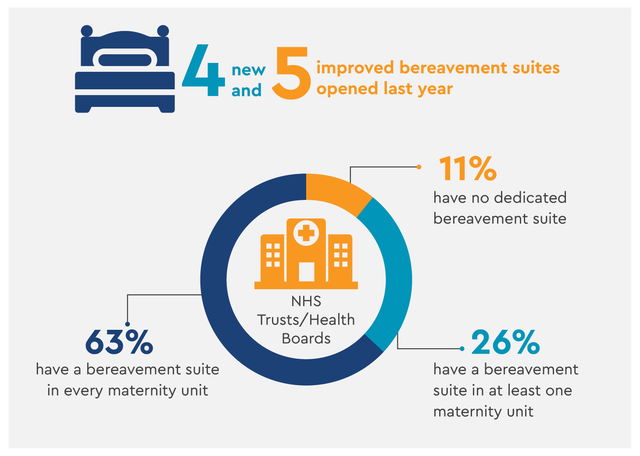 The money you raise supports opening new bereavement suites, and improving existing ones, across the country. Research is a crucial part of our work. Your support helps fund research to better understand the causes of baby deaths and save babies’ lives. Every penny raised makes a real and lasting difference to the lives of bereaved families and helps save babies' lives. 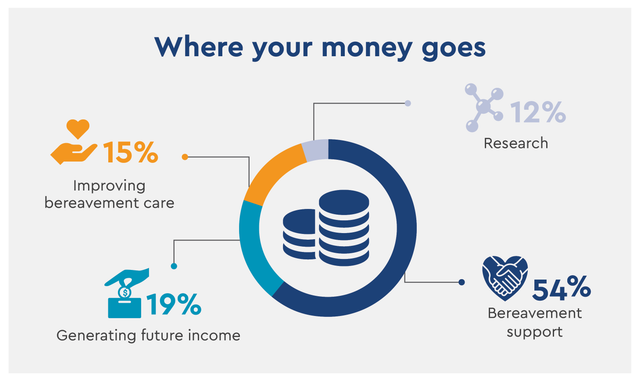 Download an infographic showing how your fundraising and donations support Sands' work. Download a foldable infographic showing how your fundraising and donations support Sands' work. Our work is totally dependent on donations. Join us and share our vision of a world where fewer babies die, and where every bereaved family gets the care and support they need, when they need it, for as long as they need it. Without the generosity of people like you, our work would not be possible. There are lots of ways for you to get involved and support us - from volunteering at an event, to campaigning for better services. This section of our site outlines all the different ways you can organise your own event to raise funds and support Sands, and offers tips and tools to help you. Sands supports anyone who has been affected by the death of a baby before, during or shortly after birth. Bereavement support is at the core of everything we do. Some of the services that we offer include a Helpline for parents, families, carers and health professionals; a UK-wide network of support groups with trained befrienders; an online forum and message boards enabling bereaved families to connect with others; and a wide range of leaflets, books and other resources available online and in print.